Nearly all coatings will be exposed to chemicals at some point, whether cleaning products, spills, or fumes. However most of these are mild, and the coating does not need a special formulation. Chemical resistant coatings or paints are designed to provide protection from the harshest of substances. They need to perform safely and consistently under punishing conditions, and so need to be highly resistant. 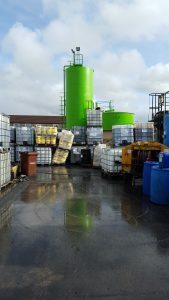 Without proper chemical resistant coating, solvents, acids, alkalis, salts, and other substances can be absorbed by the substrate, causing deterioration and contamination. The right chemical resistant coating is the one that satisfies the requirements of the chemical, as well as the needs of the substrate. Choosing correctly requires fully understanding both. In this article we will outline the different chemical resistant coatings options, and provide a guide for choosing the right one as well as where to find products and applicators in the Philippines. Substrates and environments which require heavy duty protection from chemicals include flooring, storage or holding tanks, pipelines, bunds, buried metal and concrete structures, treatment plants, laboratories, cooling towers, factories, machinery and equipment, just to name a few. The type of chemical/s – each coating has different strengths, and may provide protection from one chemical but not another. The concentration of the chemical/s – the strength of the chemical will obviously affect the coating’s resistance. The temperature of the chemical/s – a heated chemical adds an extra factor for the coating to deal with. The degree of exposure to the chemical/s – will the substrate be immersed, or is it just contact exposure? 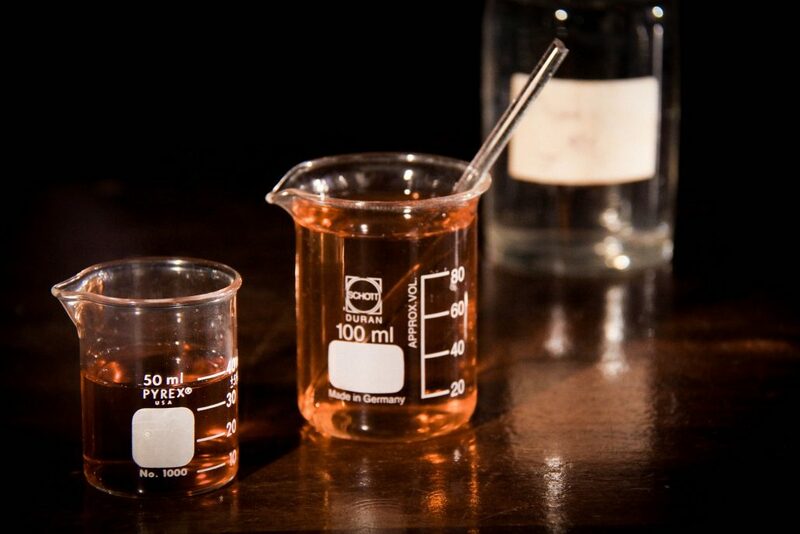 The duration of the exposure – how long will the coating need to withstand the chemical? Chemical resistant coatings are available in a wide range of formulations, suited to different applications. The main types are polyurethane, epoxy, phenolic, and fluoropolymers. The choice of coating is further complicated by extra requirements such as high abrasion resistance, increased corrosion protection, or sufficient lack of friction. Phenolic chemical resistant coating for floors offers heavy duty protection. Uses: on concrete metal and wood; common on flooring in in the food and drink industry, garages, factories, and plants. Chemical resistant coatings are an essential part of the protective coatings sector. Therefore, many local and international coating manufacturers include them in their product portfolios. Here below you can find a list of chemical resistant paint/acid resistant paint suppliers and manufacturers who are located or have business units in the Philippines. A chemical resistant coating should be applied by a trained professional to ensure an effective and flawless application. Fortunately there are many coating installer companies operating across the Philippines. If you have a project that needs chemical resistant coating, our experts are here to help! In cooperation with our partners we can provide you with a tailor-made quote, and connect you with the right coating solution. Just get in touch via e-mail or the “Request a quote” button at the bottom of this article.